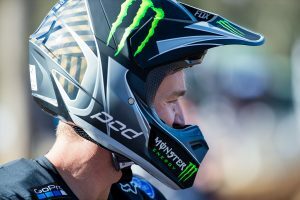 With three bikes in the mix, the DPH Husqvarna Factory Racing team was on track to see all three inside the top 10 if it weren’t for a flat tyre in race two of the inaugural S-X Open. 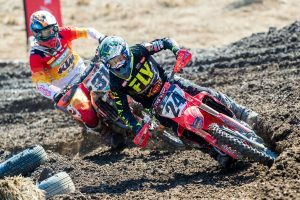 Contesting the SX1 class, Hayden Mellross (2nd overall) switched to the FC350 while Dylan Wills (12th overall) stayed with his preferred FC250, to take on some of the best supercross racers in the world. 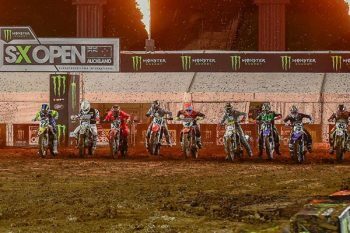 AMA racer Dean Wilson (3rd overall) once again lined up at the gates, also aboard a DPH Husqvarna Factory Racing FC450. 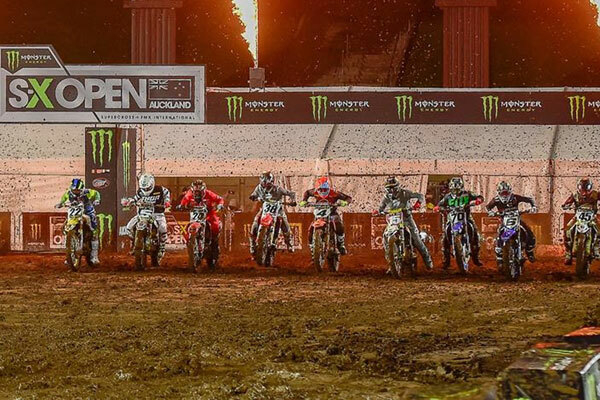 With rain throughout the day, event organizers in Auckland, New Zealand, worked tirelessly to give the racers and fans an awesome track, despite the early damp conditions.